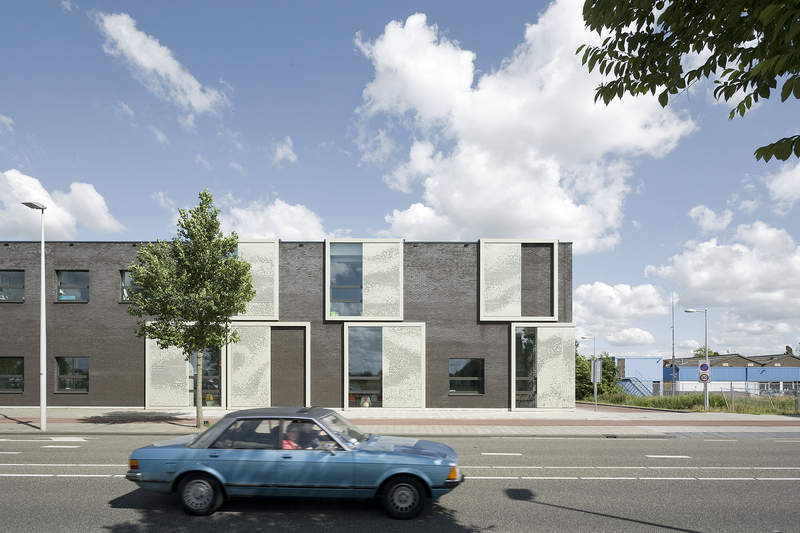 Buiksloterham, a former industrial terrain, in Amsterdam Noord, is undergoing a real transformation. SO Heldring, our new school building on Ridderspoorweg is a pioneering project within the context of this vibrate and new rapidly developing, area. It is also the first realized project within the Investeringsbesluit Buiksloterham. 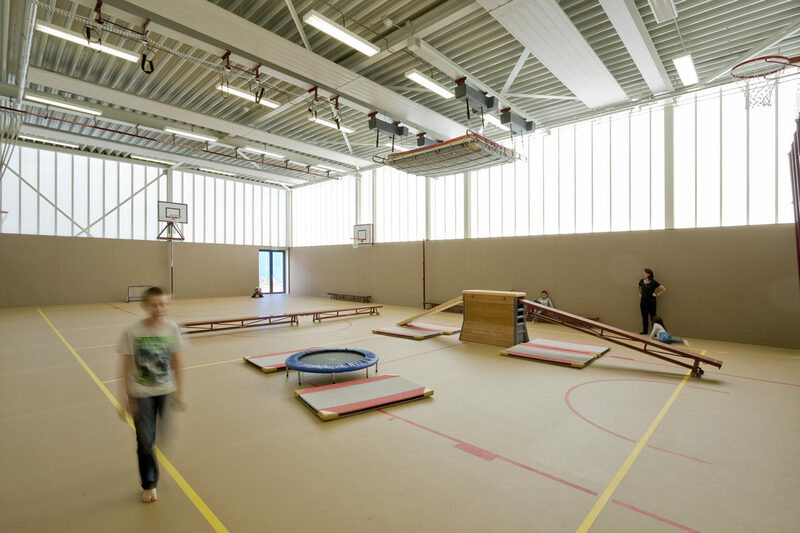 The building is fully equipped for special education, and provides a stimulating educational environment for young children with special educational needs. 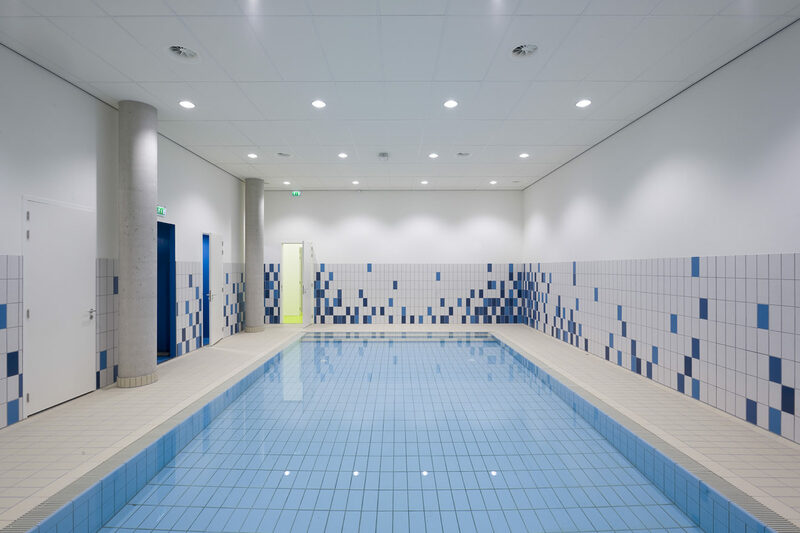 In addition to the classrooms, there is provided a watergewenningsbad, ( a water training pool ) a full gymnasium, and rooms for physiotherapy and other support functions. 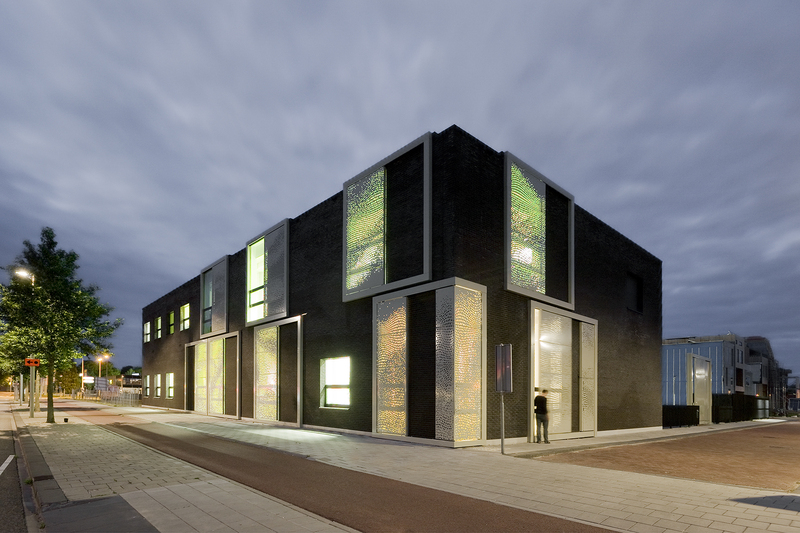 In line with the sustainability program 2011-2014 of Amsterdam, projects in Buiksloterham are selected and evaluated on the basis of demonstrable sustainability with a focus on energy and climate. The building complies not only to the PVE Fresh Schools but is also is carbon neutral. Specifically, the air handling unit uses the ‘adiabatic’ process for cooling. The four-meter-high perforated shading screens can be moved with remote control from within the premises. The work on the design was subsidized by the Amsterdams Fonds voor de Kunst and realized with computer controlled water cutting technology to a design developed by graphic designer Hansje van Halem.